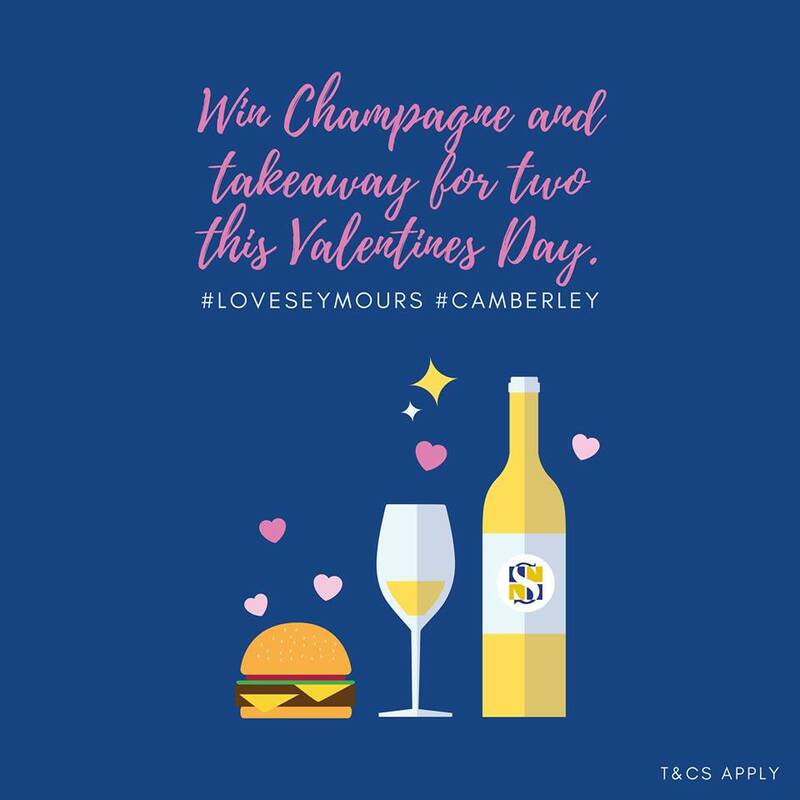 Nothing’s better than a couples night in with takeaway and bubbles on Valentine's Day right? That's why we’re giving you the chance to win a food voucher and a bottle of Champagne for two. UK residents only. Competition ends 14.02.19. The promoter is: Seymours Camberley Ltd (company no. 11481890) whose registered office is at 2 Lynwood Close, Woking, United Kingdom, GU21 5TJ. The competition is open to residents of the United Kingdom aged 18 years or over except employees of Seymours Estate Agents Ltd and their close relatives and anyone otherwise connected with the organisation or judging of the competition. Only one entry will be accepted per person. Multiple entries from the same person may be disqualified. Closing date for entry will be 14.02.19. After this date the no further entries to the competition will be permitted. The prize is as follows: £30 Uber Eats voucher and a bottle of Champagne. The winner will be notified by DM on Facebook within 7 days of the closing date. If the winner cannot be contacted or does not claim the prize within 3 days of notification, we reserve the right to withdraw the prize from the winner and pick a replacement winner. The promoter will notify the winner when and where the prize can be redeemed.